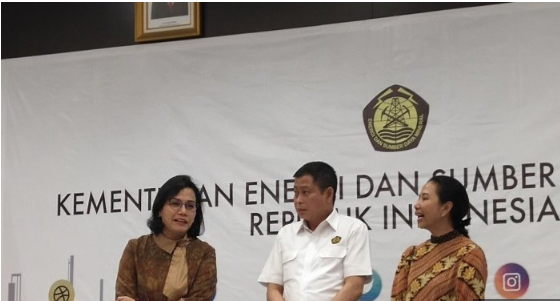 Reporting from Tribunnews, the Minister of State-Owned Enterprises (BUMN) Rini Soemarno ensured that no BUMN member of the mining holding company received a bigger profit from the divestment of 51 percent of PT Freeport Indonesia's shares sold to PT Inalum. The state-owned mining holding is currently led by PT Indonesia Asahan Alumunium (Inalum) consisting of 3 state-owned enterprises, namely PT Bukit Asam, PT Timah, and PT Aneka Tambang (Antam). "The holding BUMN itself does not have 51 percent of Freeport being consolidated and the financial statements of this company will include 51 percent," Rini Soemarno said after a press conference about Freeport at the Ministry of Energy and Mineral Resources on Friday (09/28/2018). "Oh no (there are more). This is separate," continued Rini Soemarno. Rini said, Inalum was preparing the construction of a smelter or purification which is one of the contents of the agreement in the divestment of Freeport shares. "The FI itself is one of them in the program, our commitment to the government towards smelters. So that is the one that we will build. One of the conditions for a smelter is that it cannot be separated from energy," said Rini Soemarno. Smelters will be built in the Papua region, which is currently being studied by exploiting the potential of the river in Papua. "We are seeing in Papua that there is a river which is quite heavy if it uses hydro power very well. Of course it can't be one, but it must have its own smelter," said Rini.